We’ll see. I’m conflicted. Apple has the potential to do some great things with VR, but if history is an indicator, it’ll be ridiculously expensive and proprietary. I just don’t see Apple releasing a Steam-Compatible product. At this point, my understanding is Macintoshes lack the necessary horsepower to support a Vive or Rift. ‘Seems like getting fully into VR for Apple would be quite a big investment if they wanted to release something comparable. I don’t see Apple wanting to compete with the PlayStation. I can’t see buying a $2,500+ Macintosh *plus* the Apple Proprietary VR gear (another, what, $1,500?). Educated guess is that Apple is banking on AR to be the big thing. Personally, I think BOTH will be huge. However, they’re both very different. Wtf – why would you care if Steam is involved, they don’t own the VR experience. Btw they have announced support for VR with serious GPUs finally. I think it’s no coincidence the new form factor for MacBook Air thinness is supported by Nvidia – no question Apple is part of this. So, point being mobile AR is for the most part a sepaarate play from the laptop/desktop experience as you said. Now, before someone claims I love yet another “walled garden” let me say I hate using a Mac; I respect it, but I hate the interface. AR is just a code word for crappy VR. 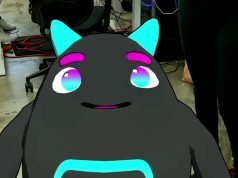 I think their infrared face tracking tech could be useful for motion capture on future VR goggles. . so peoples avatars have face tracked animation. Your device list is wrong. 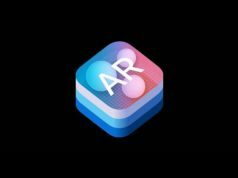 6dof arkit is only supported by the 6s and up. There are already dozens of AR games that can be downloaded on Google play. =/. The AR demos are cute but using your iPhone with a Google Cardboard style headset is a vastly more compelling experience yet Apple offers no SDK or developer tools to develop AR/VR apps that use a headset. They could have let you use the cameras for head mounted AR which would have been pretty awesome but no. 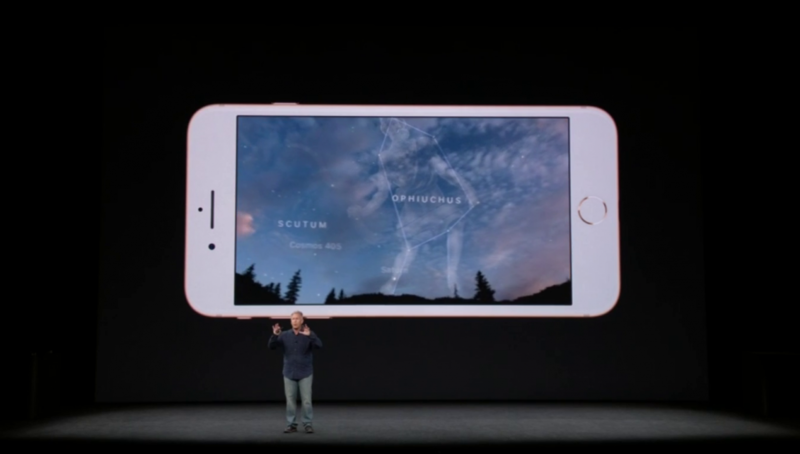 Apple is advertising that “iPhone line as custom designed “for the ultimate augmented reality experience,”. Advertising the wiresless as “”Greatest Wireless” … which is like 5 to 7 years old. Only the brainwashed will buy into that “Custom designed”… which is from metaio in 2013. BTW, AR on phones are trash! !